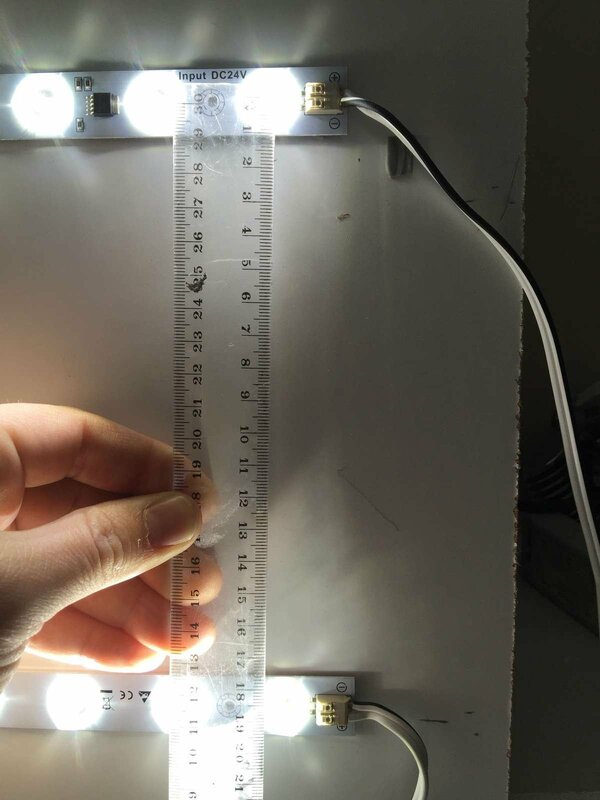 14.4w High CRI Back-lit LED Linear Module Stock Items Are Same Day Shipped From Knoxville, Tennesse, United States. The ideal LED Solution for back lighting indoor light boxes that are between 2" and 12" deep. Their incredible 170 deg beam ensures no hot spots and remarkable light coverage. The rigid LED bars are quick and easy to install. DC12V/DC24V input: Can work with any DC12V/DC24V PWM control system. Temperature Sensor: Can lower the current to protect itself when the temperature is too high. Brightness uniform: With same brightness from the first end to the last end for around 10m. What does high CRI mean- see here! 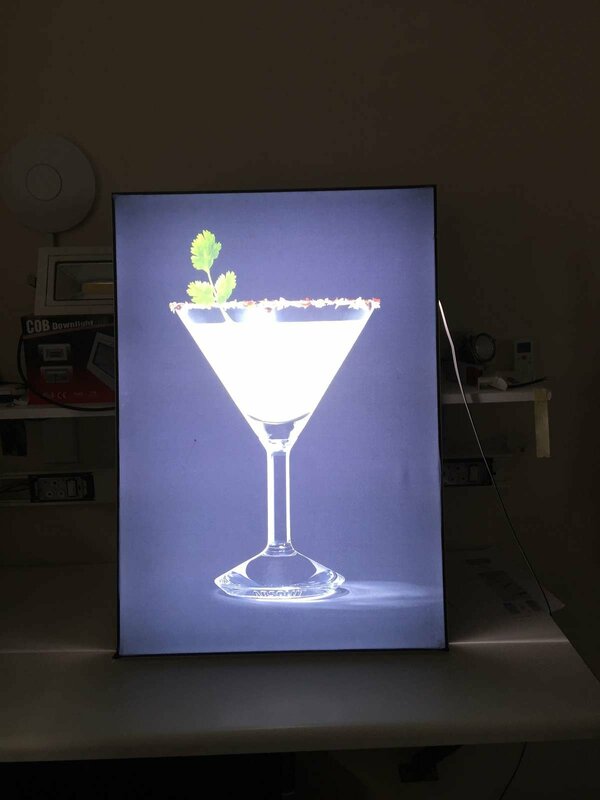 Our client complained that normal led strips were causing hot spots on their fabric light box.